The coolant fluid in your Honda keeps your engine from overheating by reducing the heat levels that are produced by your vehicle’s engine. When your vehicle’s cooling system is not functioning properly, the temperature of your engine will rise, causing your engine to get hot enough to cause severe damage to itself. Our Ridgeland Honda service center near Jackson is highly experienced in coolant systems which can help your vehicle’s cooling system function properly. Why is a Coolant Flush and Fill Important? Routine coolant flushes are important because they prevent your Honda from overheating. The more you drive your vehicle, the more you use your coolant and anti-freeze, which prevent your engine from overheating. It is important to take care of your cooling system so that you have a functioning vehicle that is capable of taking you to all of your destinations. What do coolant and antifreeze do inside a vehicle? Your vehicle’s cooling system consists of two liquids: coolant and anti-freeze. These two work together within your cooling system to monitor and level the heat that your engine produces while your vehicle is in use. If they do not function properly or are in need of replacement, your engine could over-heat, causing it to fail. Having your coolant fluids filled and clean at all times will save you a lot of money on preventable damages and time spent stuck on the side of the road. What is a coolant flush system and fill? A coolant system flush and fill is when your cooling system is cleaned out! The coolant and anti-freeze liquids are replaced with fresh solutions and your cooling system is wiped out, removing old coolant, anti-freeze and any dirt or particles that are lingering inside. Our service center recommends that you get your vehicle’s coolant system flushed every 30,000-miles, however, check your owner’s manual for more specific information regarding your Honda model. 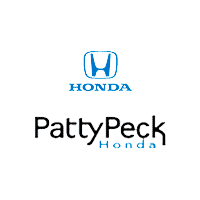 Patty Peck Honda settles for nothing less than excellence. Whether it be the quality of the vehicles sold, the services we offer, or the genuine OEM parts we stock, we want to leave nothing on the table. Our service center services all makes and models, and we even offer Express Service. With our convenient hours, drivers can visit our dealership as early as 7:30am Monday through Friday. We are located just about 20 minutes north of Jackson MS, so stop on by! If your vehicle is in need of a coolant flush, contact Patty Peck Honda by calling 601-957-3400 to schedule your appointment today!